We change the way places can change. YARD & Company has 25 years of global experience interweaving urban design and development strategy with hyper-local get-it-done creativity. We realized early in our work that the activation of yard-like spaces with company is often the best way to test ideas and uncover the demand necessary to build extraordinary places. The smart use of these spaces shapes what gets built around them. The YARD is big enough to matter and small enough to make a difference. It provides belonging and enclosure to create an outdoor room that is safe, comfortable, and even Instagrammable. Its size keeps it within our power to maintain and keep loved. The YARD is where we play and celebrate, factories build, people move, landscapes grow, and buildings cluster. The YARD is where public and private meet. 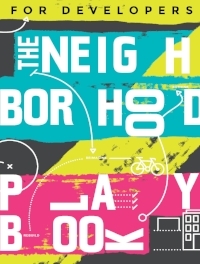 It is where neighbors interact and solve problems together. The YARD changes often with the people that place demands upon them. It can be a meticulously designed garden or messy place to be creative, test ideas, and build great things. Give us an inch, we’ll take you a YARD. Ask for a mile, and we’ll fit it into a YARD to make the best use of every last bit of energy applied to it. It is amazing what can happen one step at a time. Keep walking. You'll surprise yourself with how far you go.